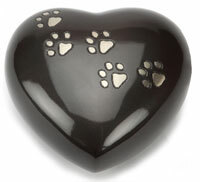 Pet ashes necklace Chelsea Design 18 is a beautiful way to keep a token amount of ashes of your beloved pet with you. 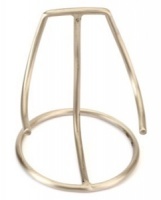 This pet cremation jewellery holds a very small pinch of ashes in the neck of the charm. 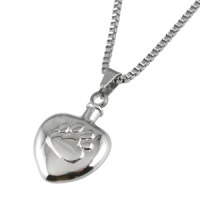 Memorial necklace with heart shaped pendant pet keepsake urn featuring paw print design. 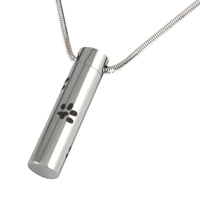 The perfect way to discreetly keep the ashes of a loved pet close to you always. 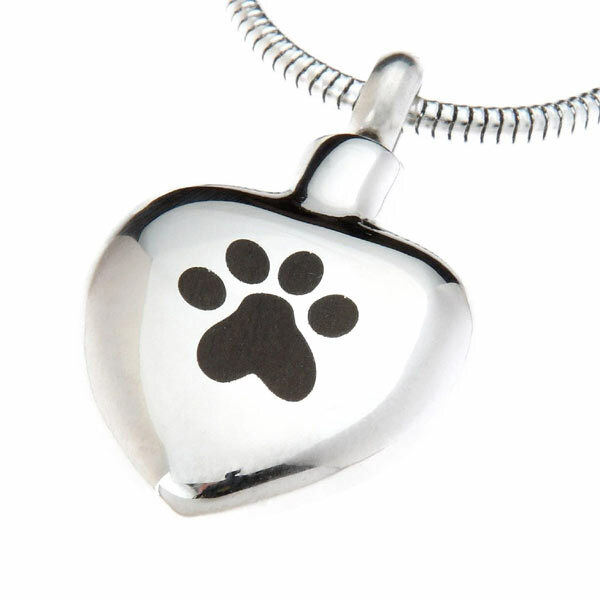 I bought this as I had just lost my beloved dog at only 5 yrs old I wanted to keep her close to me and this is ideal although only holding a small amount of ashes I feel she is with me all the time and the necklace looks lovely lots of people have commented on how good it looks . On 29th April 2013 I had to say goodbye to my best friend and shadow. I was looking for ways to keep him close to me. When I found this website it was fate, my boy was called D'fer Dog! I received the necklace very quickly and it was well packaged. 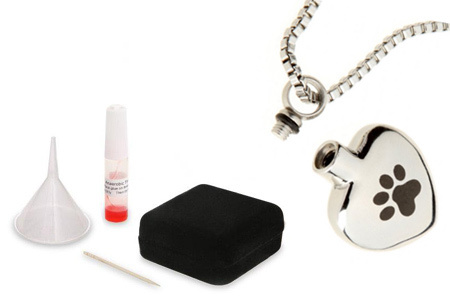 The necklace was presented nicely and the kit and instructions were perfect. I love my necklace and my only slight disappointment is that you can't wear it in the shower (which I totally understand but just hadn't thought about) so I have to keep remembering to take it off as I wear it all the time. 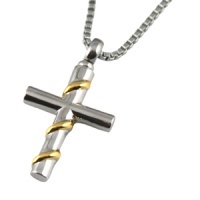 I find a lot of comfort from wearing it and so pleased that I found this website. Thank you!